The suspected industrial espionage involving Renault's flagship electric vehicle program is a "serious" matter, France's industry minister Eric Besson said. "All I can tell you is that the matter seems serious, that it illustrates once again the risks our companies face in terms of industrial espionage, and economic intelligence, as we call it today," Besson told the RTL radio station on Thursday. "It is an overall risk for French industry," Besson said. "The expression 'economic warfare', sometimes extreme, is appropriate and this is something we should monitor in future," he added. Michel Balthazard, a 30-year veteran of Renault, has been suspended, reports say. 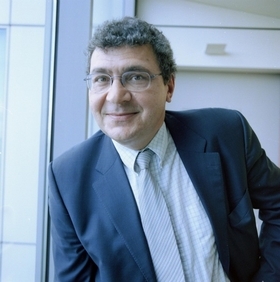 Balthazard began his career at Renault in 1980, in the body engineering department. He was rose to become head of the company's D/E product range program and director of the New Laguna project, and was appointed vice president of pre-engineering, projects and requirements in 2006. Renault said on Thursday that the matter concerned people in "particularly strategic" positions within the company. 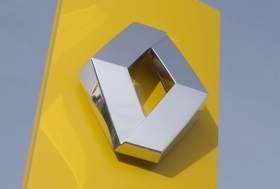 "This investigation, which has lasted several months, has allowed us to identify an array of related elements showing that the behavior of these three employees was opposed to Renault's code of ethics, and consciously and deliberately put at risk company assets," Renault said. The three suspended executives could be dismissed soon if they are found to have leaked information, two sources told Reuters on Thursday. "The internal investigation is continuing, but a decision should be made in the coming days," said one source. "In nine out of ten cases, suspension (without pay) of this kind, is followed by a dismissal," he said. A second source said: "Suspension of this kind (without pay) never lasts very long. I think unfortunately in the days to come, next week, action will be taken, if action is to be taken."